Champagne Collet, formerly known as Raoul Collet, is a winegrowers’ cooperative brand from Äy in the Champagne region. 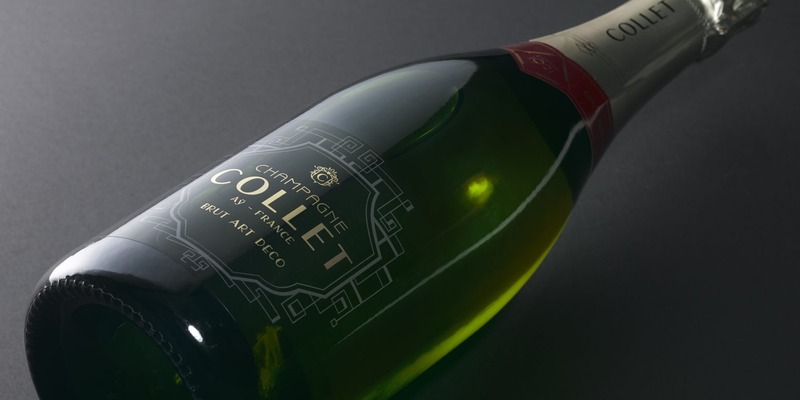 Raoul Collet is considered to be the first Champagne brand and symbol of the Champagne Revolution, promoting the true expertise of the winemakers and the authenticity of the most noble of terroirs. The quality of the brand’s Champagne is recognised by the industry and is sold mainly in the hospitality sector (cafes, hotels and restaurants) and specialty wine shops. The aim of Crépuscule was to revive Collet’s brand identity by giving it a touch of modernity whilst respecting its values. Naturally, the agency highlighted the cooperative creation date to 1921 to rethink its graphic identity charter. Born during the Roaring Twenties, Collet returns to its premium territory and its Art Deco styling. Brand identity has been integrated into all media including a new, more sculpted logo, a new packaging line, a private collection, the creation of the communication charter, its website as well as merchandising support. Crépuscule won 2 Double Gold Medals at the San Francisco Wine Competition in July 2015 for the design of the Collet Esprit Couture box, as well as for updating the champagne range inspired by 1920’s Art Deco. The agency also won a Silver Medal for the graphic design of the 2006 Brut Vintage Private Collection, box and bottle.